You have authority on the forum and we are pleased to see you in our topic. I gave the team your request. In the near future, the representative of the team will respond to your request. Hi there feel free to message me. I can provide real time photos of me via skype or some other pictures but I don't have any social media accounts at all. I know that is strange in today's world for most people but I like my privacy. Your possible investors are reading on this forum, not on skype, do you mind in posting here a selfie with today's date written on a paper? Also please answer these other questions and provide documents. Renovato LLC is a subsidiary of Renovato Trading OÜ and operated out of Los Angeles California. I will not post my passport on the public domain, no, but I am happy to show you and tracking websites is pending my KYC right now as well. Here's a selfie without a date but can upload one later tonight. Thank you for uploading your image. We didnt ask you to provide your passport, as we all know that many identities have been stolen in the crypto industry. We rather believe in a real photo of the person than a document such as a passport. When possible investors ask some questions, it is because they are interested in your project or they are suspicious, and it is up to you to give them an answer. A KYC done by other websites doesn't mean anything. Remember that those sites are there for a profit, many of them list scam projects very often, and often feature them on their site. It is easy to fabricate something that is on paper, but it is harder to fabricate the real thing. You said that you are operating in the US, Los Angeles, can you provide documents/permissions, such as registration with state regulators, documents filed with SEC for your STO? Also, are you sure that you are in Los Angeles? On your website shows that you are in San Francisco, including the phone number is from San Francisco. Maybe you can ask your team to take a group photo at the office and post here. As someone posted above "the more you can prove, more credible your project becomes"
Yes, I'm sure I'm here sitting in my home in Los Angeles. San Francisco is our mailing address and I split my time between both parts of the state. For US it is restricted to accredited investors ONLY unless US persons purchase ICO tokens and that is different. Also currently not "promoting" to anyone in the USA. Also want to start showing our trading team results from last year. I got a message asking about it. Also this is home for the last 3 years. We didnt ask for a chart and a picture of LA Skyline, we want to see documents that make your project legit and if you dont want to provide, it is your choice. Which jurisdiction is your company domiciled? ....Also currently not "promoting" to anyone in the USA. We are not taking that answer as sarcasm, but an investor would. And about "promoting", as long your website is visible in the US you are considered promoting your website and content in the US. Hey buddy you asked if I was sure where I live...Also you’re wrong about US promoting but I’m not home to give you the entire legal code and description. I’ll provide for you later so you can be updated. I also didn’t post those pictures for you, but that is my picture from me living in Los Angeles 路‍♂️. unfortunately, time is one constraint to build your integrity. i just hope this will not be another quadrigacx case in the future. from the investors' end, the dev team should understand why people are now hesitant in trusting a project. while on the other hand, the team has a lot of work to do to prove that they are running legit. to the point that your personal life is at stake. Hey buddy you asked if I was sure where I live...Also you’re wrong about US promoting but I’m not home to give you the entire legal code and description. I’ll provide for you later so you can be updated. I also didn’t post those pictures for you, but that is my picture from me living in Los Angeles 路♂️. You know that we were asking about your business location. We dont have the time to play games here as it appears that is what you want to do. Now you are confused about your location! We asked you questions because your picture on the Renovato's website appears to be photoshopped. Your Linkedin profile just has 1 job experience listed. You posted a photo on this thread, but we don’t know if that person name is Charles Varnado. Including a place where you applied and FAILED KYC doesn’t know who you are either. The CEO refused to answer valid questions about the business legality of Renovato, which is not good for the progress of this project. As investors read this topic they will consider twice before investing in a project where the CEO doesnt want to provide evidence of the legality of the business. They are trying to raise 17 million and expect that nobody asks questions? Once questions are raised, any evidence that they provide will just help validate the project. With so many scams around, who want to take a chance in a project that is becoming suspicious as the CEO is evading questions. We are not labeling this project a scam/scammer, but check out our list with over 300 scams caught and you can see many examples where questions are raised and CEO’s of such projects refused to answer them/or provide documents. And back to questions again, for third and last time because honestly, it appears that transparency is something that you dont want to apply to your project. Can you provide documents/permissions, such as registration with state regulators, documents filed with SEC (if any)? About your team: It is very strange that they don’t have anything about this project on their Linkedin profile. Can you provide a video of them talking about the project? Where can we read more information about Renovato Trading OÜ ? What is their website address? We want to make sure you are connected with them since there are many copycats on the market. Renovato Trading OÜ was just registered on 14.02.2019 – two weeks ago. To everyone reading this post, if this project doesnt provide evidence to the questions above, you should consider seriously making any investment in this project. ICObench has yet to respond to why it failed, everything was uploaded properly and https://www.linkedin.com/in/sydneyifergan/ can say the same. You're able to message him. Has also raised over $100m. "Regulation S provides an SEC compliant way for US and non-US companies to raise capital outside the U.S. It is not necessary to have a company in the USA to use Reg S.
A Regulation S offering can issue both equity and debt securities. A company that makes their offering under Reg S is also allowed to use another method to raise capital inside the US - usually Reg D.
Reg S investors from outside the US can be of any wealth level. Reg S is a good compliment to Reg D, in that Reg S allows non-US investors to invest in a US company or a non-US company on a similar basis to the Reg D terms, without the restriction of being required to be accredited investors. Reg S requires that the offer and sale must be made to investors that are outside the US. And US investors must not be shown the non-US investor terms. There is no required SEC registration for a Reg S offerings, but there are methods and practices that must be used." 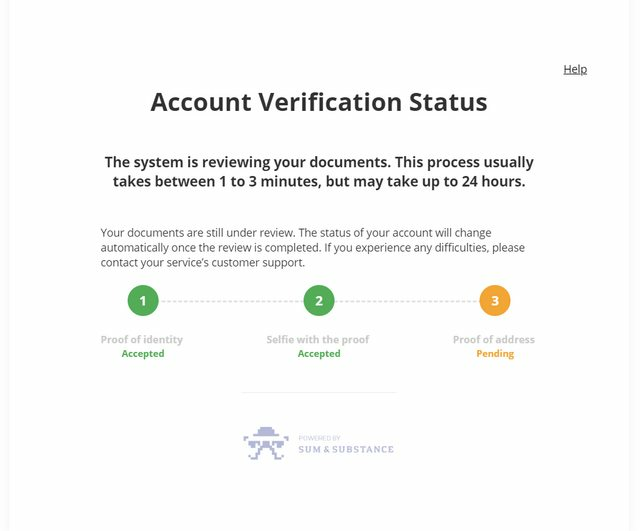 https://sto.renovato.io on our token dashboard it makes this very clear that any US person must be accredited if they're buying STO. KYC is pending with uploaded bank statement with my address. But as soon as it can be traded all investors from the US can also purchase the tokens? US persons now can buy our ICO tokens from us a utility token with no profit sharing capabilities without being a accredited investor. If a US person wants STO tokens then they must be accredited, but there currently isn't any promotion going to US persons. If US persons do partake in our token sale on any level they will have to be verified before receiving tokens for legal. The token dashboard is here.